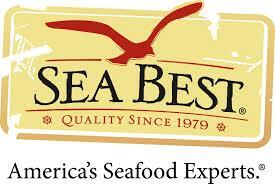 On March 21st in Hemming Park, GastroFest has some great Chefs lined up on the Sea Best Cooking Demo Stage! Special thanks to Sea Best, The Jacksonville Farmers Market, Conscious Eats and D’Land Productions! Chef Howard moved from Spain to the United States during his early teens, taking the knowledge passed on to him by his Uncle and learning still more from his own mother. When he was twenty-one he began traveling around Europe visiting Austria, the Netherlands, Germany and Italy. He trained in various kitchens, learning how to make sausage from scratch and tasting as many types of cuisine as he could. When he wasn’t cooking or eating, he was trying to get in the back door of European kitchens at restaurants where locals, not tourists, would eat. While living in Munich, he trained with Chef Sergio Giancarlo, who was born in Sardina but grew up in Tuscany. It was from Chef Sergio that he learned to cook his celebrated Roman Gnocci, something that you’ll find on Chef Howard’s 13 Gypsies menu. Jeffrey Spear is the President and Owner of Studio Spear, a leading global marketing consultancy operating from the beach in Jacksonville, Florida. With client engagements on every continent except Antarctica, Spear applies his strategic and creative skills to a variety of branding and growth-oriented activities, primarily in food manufacturing and foodservice industries, catering to both consumer and trade audiences. On a culinary note, Spear has obtained training from professional cooking schools in Australia and the United States . He is the author of two cookbooks “Yum: Tasty Recipes from Culinary Greats” and “The First Coast Heritage Cookbook.” His third cookbook is now in development. Spear currently lives at the beach in Jacksonville and enjoys the natural beauty that northeast Florida has to offer. Chef Amadeus’ love for food was cultivated by his Puerto Rican grandmother and Philadelphia-born mother. As a child, he spent countless hours in the kitchen with the two women where he learned to create delicious, home-cooked meals—a passion that drives the Sessions with Chef Amadeus cooking and dining experiences. Between his weekly radio show The Southern Passion Lounge with Chef Amadeus, mentoring local high school culinary programs, Tasty Tuesdays, and collecting nonperishable food for local food banks, Chef Amadeus enjoys giving back to his hometown. 5 p.m. Ashley Amin, was awarded “Top Indian Chef” San Diego 2009 and is the chef of Jacksonville’s Fusion Food Truck. Born in Uganda and raised in London, England, her interest in the culinary world began at an early age, as she helped her mom and sisters in the kitchen. Chef Ashley Amin has the distinction of having cooked for the Dalai Lama, among other celebrities and VIPs. Locally her banana curry has won awards and she was named “Top Indian Chef” when she was in San Diego. Today she’s the chef and co-owner of the local Fusion Food Truck. Fusion delivers a mix of Indian, Thai and Mediterranean dishes. Florence Haridan, a life long foodie, is the Executive Director of Character Counts in Jacksonville, the parent NGO/Nonprofit of Conscious Eats. Florence currently serves as the culinary lead. Her training as a business coach and experience as a design leader have inspired her to step into the world of social entrepreneurship. She is bringing her love of food to life by helping others learn about food, too! She has led teams for Citibank, AT&T and McCann Erikson. Her respect for the creative process fuels the approach Conscious Eats takes to not only develop awesome food, but nurture a team that is responsible and community focused.